This is what I’ve been working on the last few months. It pretty much consumes most of my attention these days. Right now it’s about four feet across I think. Final project size will be about six feet. No, I didn’t come up with the design myself. 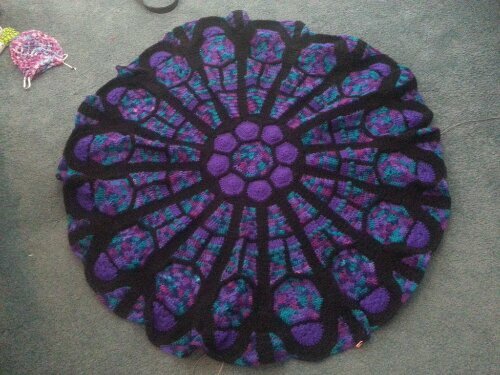 It’s the Cathedral Rose Window Afghan project I got for Christmas.